WINNIPEG, MB – Kilter Brewing has announced details of a new beer brewed especially for a local bar’s tiki night. 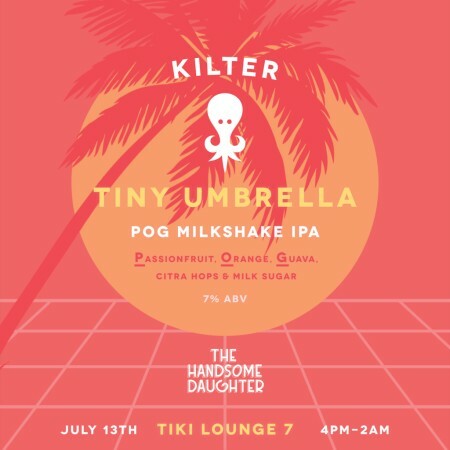 Tiny Umbrella will be available on tap this Friday July 13th at The Handsome Daughter (61 Sherbrook St., Winnipeg) for Tiki Lounge 7, an evening that will also faeture tiki cocktails and music by DJ Spooky Pappi. For more details, see the Facebook event listing.